How long have you lived in Oakville? [I] was born at Oakville Trafalgar Memorial Hospital in 1975, so grew up in the 80’s and early 90’s in Oakville. 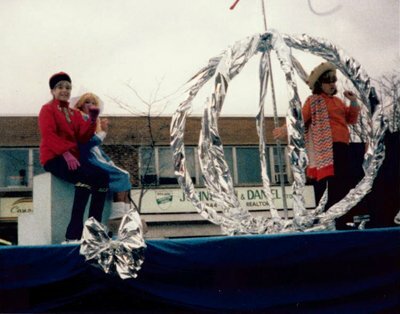 Where in Oakville did you grow up? Do you know any stories about how our family came to settle in Oakville? My grandparents grew up in Winnipeg, Manitoba. They moved to Calgary in 1969 and then to Oakville in 1974 because my grandfather was relocated for his work in the insurance business. Can you describe what Oakville was like when you were my age? Oakville had fewer neighborhoods and people when [I] was growing up. It was easy to know what streets/neighborhoods friends and family lived on, compared to now. There are so many new neighborhoods and areas for families to grow up in. How did the town look? Oakville has always been a clean, beautiful, and safe town to grow up and live in. [I] remember the charm of downtown Oakville, feeding the ducks at Bronte Harbor, and riding [my] bike around [the] neighborhood to visit friends. [I] went to elementary school at Gladys Speers Public School and high school at Queen Elizabeth Park School (now QEPCCC). [I] remember many fun activities as a child at various parks in Oakville, swimming and exploring at Bronte Provincial Park and pool, public swims at Queen Elizabeth Park School pool, movies at the Oakville Mews, skating at various Oakville arenas, shopping at Hopedale Mall and Oakville Place, and riding [my] bike to TCBY in Bronte for frozen yogurt. My family had many dinners at El Spero restaurant in Hopedale Mall, and were very sad to see it close just this past June after many, many years in the Oakville community. [I] remember wearing leggings/tights with long tops, bright fluorescent shirts with matching socks, acid wash jeans, tapered jeans (using safety pins! ), being excited to have a Cotton Ginny or Beaver Canoe sweatshirt, and having permed hair! Where did you hang out with friends? [I] would go for ice cream in Bronte Harbor with friends, bowling and hanging out at Hopedale Mall, skating at Kinoak arena, and movies at the Oakville Mews on Speers Rd. Were you involved with any organizations in the community? 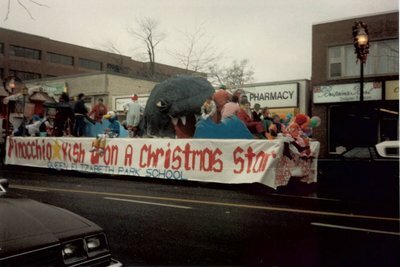 [I] skated with the Oakville Skating Club for many years (Oakville Arena on Rebecca St.), Girl’s Softball with the Kinsmen Club of Oakville and participated in the Oakville Santa Claus Parade. My first job was at the Carlton Cards store in Hopedale mall when [I] was a teenager. There are many more neighborhoods, shopping plazas, community centers and schools now. Oakville’s population is growing and some neighborhoods have lots of new families with young kids, while others have many seniors who have been in Oakville for a long while. 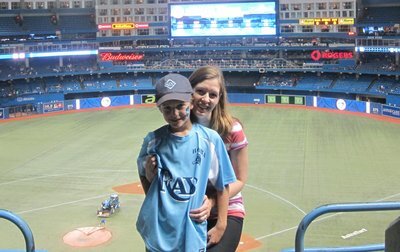 What were your favorite places in Oakville? Bronte Harbor, Coronation Park, Lions Valley Park. There are lots of new stores and the harbor area has been updated over the years. Coronation Park [now] has a big wonderful park, splash pad area, and picnic area. Were there any local gatherings/festivals? As a teenager, [my friends and I] would look forward to going to the Sound of Music Festival which ran in June at Coronation Park (plus other locations). This event has run for many years in Oakville. [I] also went to the Midnight Madness in downtown Oakville for many years when [I] was growing up. Both of these events were lots of fun and you would always run into other friends from the Oakville community also enjoying these events. What is your best memory of Oakville? Many happy memories, very hard to choose just one. 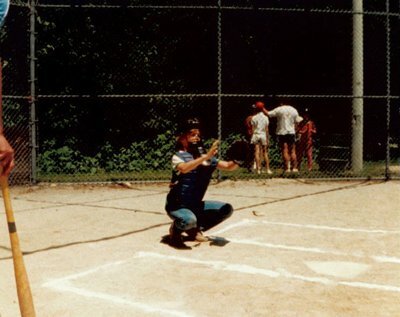 [I] have many happy Oakville memories of softball in the summer, skating in the winter, and enjoying time at Bronte Harbor with family and friends.